Just Arrived! 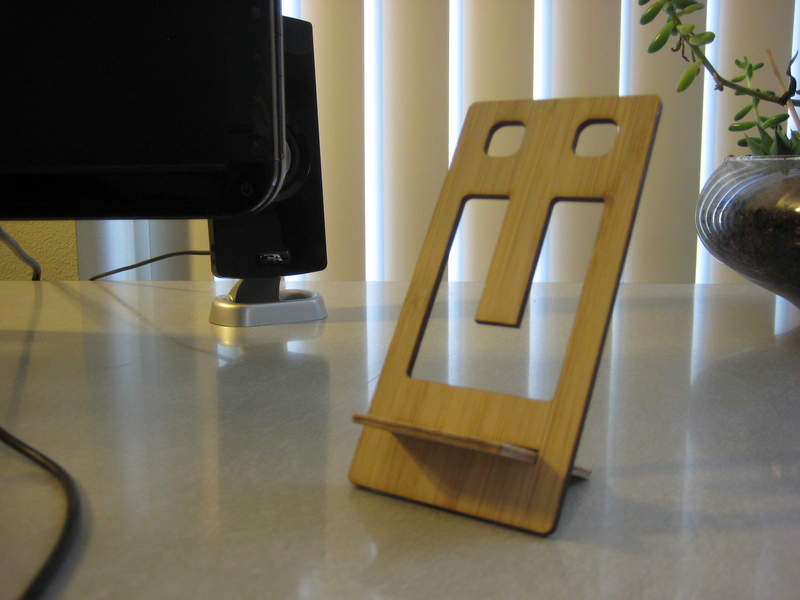 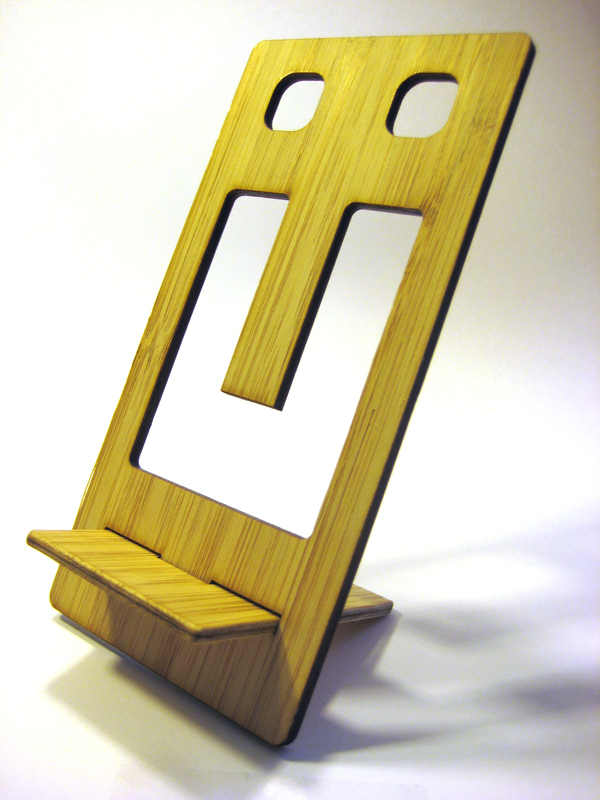 This cell stand is laser cut by the fine folks at Ponoko.com. This stand is a sturdy way to prop up your phone, and looks great while doing it. 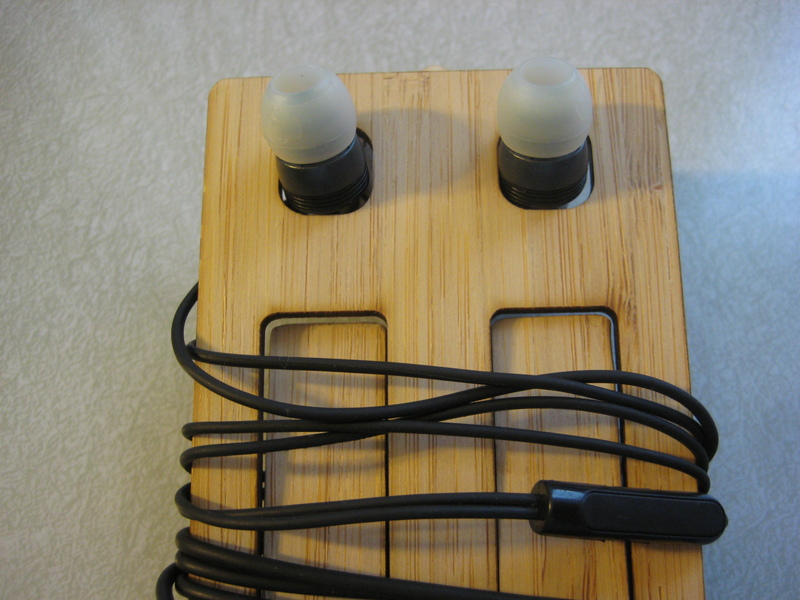 Also included at the top are two holes for headphones. 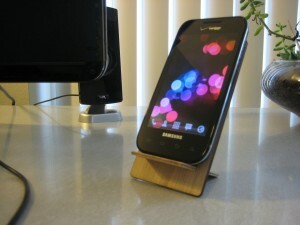 Wrapping them around the stand keeps the knots out.